So in love was I with the milieu of farmers, foodies and obsessive sustainability that I put all of it into the book. I put it in often. Early readers said “I love it, but there’s too much about the business in there.” So I parted with a few lines and called it even. My agent said “I love it, but the book shows its homework too much.” So I cut out more. I cut out plenty. I was sure of it. Guess what my editor said? Yes—you win! She said the same darned thing. Fashion had never been my thing. One might argue that I’d gone out of my way to avoid it. Even though I lived in a city where fashion designers outnumber yellow cabs, I often managed to dress like a scarecrow. My long, straight hair had been cut the same way since I was a teenager. And with cooking and toddlers, my wash and wear uniform was essential, if uninspired. My lifestyle, however, had lately become quite fashionable. Suddenly it was hip to be a “greenie weenie” like me. It was cool to reuse your shopping bags. It was cutting edge to carry around a water bottle, and refill it straight from the tap. In fact, Green was suddenly so cool that cliques had formed, each with its own brand of righteousness. There were the “locavores” for example—people who wouldn’t eat anything grown further than a hundred miles from home. Then there were the “freegans,” who wouldn’t buy anything new. They get by with clothing and house wares rescued from the landfill. It’s dumpster diving for the new millennium. “Groovy,” Luke answered. He hit the car’s turn signal and steered us toward the exit off the interstate. The first version is essentially a lecture by the main character. Who wants a lecture? The second version features the main character’s same personality traits, but done in (what I hope is) a more interesting way. I’d like to say that this will never happen to me again, that I’ll never fail to hear the obvious truth when a string of readers repeats the same bit of critique. But alas, (nerd) love is blind. Sarah Pinneo is a food writer and the coauthor of The Ski House Cookbook. 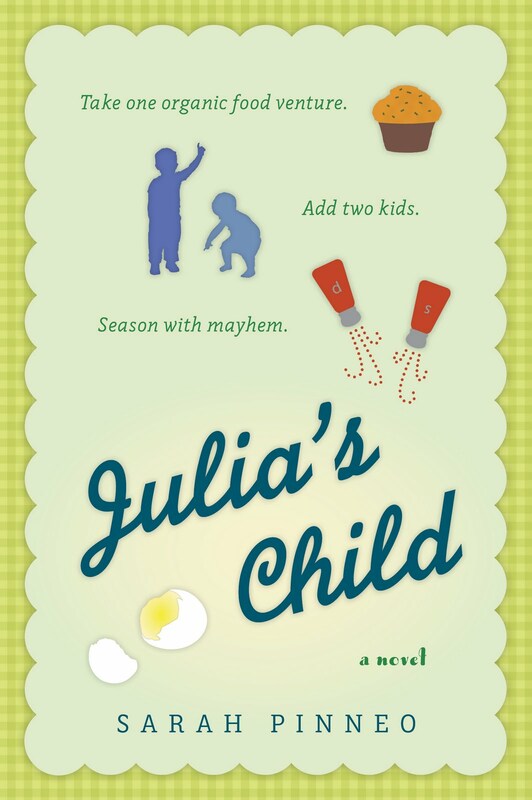 Her first novel, Julia’s Child, will be published by Plume in 2012. If you ask her whether it was easy or difficult to make the leap from published non-fiction writer to published novelist, she will laugh and point out the fact that her two books have publication dates which are more than four years apart. Sarah also edits Blurb is a Verb, a blog entirely devoted to book publicity. It's interesting how you came from non-fiction, 'cause that's exactly how the first version reads. It's great, but if it's a novel? Yep, the sandpaper version by far. When I try the same trick, I get the same lecture, only with quotation marks. It takes another few drafts to bury the research and work in an actual conversation. The second draft offers insight into two characters, rather than simply the foodie culture, which is a plus. The man's dialogue makes me chuckle and keeps my attention much better than the prose in Take I.
I'll definitely be on the lookout for places in my own work where I'm lecturing instead of showing my point through my characters. LOL! I like Take I, but Take II made me laugh. Thanks, guys! I rewrote this chapter opener a dozen times. And then finally made peace with it. announcing International Sh*tty First Draft Week! International Sh*tty First Draft Week-CONTEST!